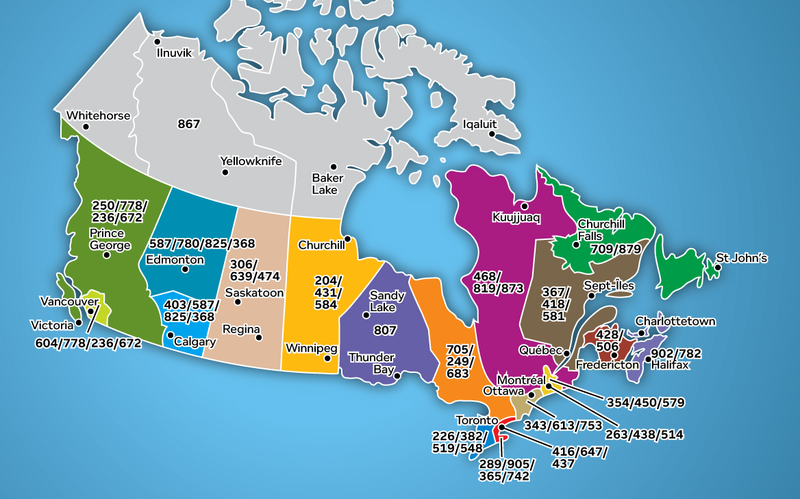 The introduction of new area codes is the result of decisions by the Canadian Radio-Television and Telecommunications Commission (CRTC). The growing demand for communications services has increased the requirement for phone numbers in several regions across Canada. When phone numbers start to run out in certain areas, new area codes are created to meet demand. Adding a new area code enables more than seven million new phone numbers to be created! Starting October 24, 2020, the new area code 354 will be added to the regions served by area codes 450 and 579 in Québec. Starting November 21, 2020, the new area code 428 will be introduced in New Brunswick, currently served by area code 506. Starting May 20, 2022, the new area code 879 will be introduced in Newfoundland and Labrador, currently served by area code 709. Introducing a new area code within a region already served by another code creates only minor changes. Adding an area code using the overlay method does not cause any numbers to change for existing customers. And, local calling areas also remain the same.